Vangipurapu Venkata Sai Laxman pronunciation (born 1 November 1974 in Hyderabad, Andhra Pradesh, India) commonly known as V.V.S. Laxman, is a former Indian cricketer. He is related to Indias second President Dr. Sarvepalli Radhakrishnan. Laxman represents Hyderabad in domestic cricket and has played for Lancashire in English county cricket. He was the captain of the Deccan Chargers team in the Indian Premier League in its first year before being replaced by Adam Gilchrist for the next year. In 2011, Laxman was awarded the Padma Shri award, Indias fourth highest civilian award from the Government of India. Laxman bats right-handed and occasionally bowls off-spin. He is noted for his superb timing and the ability to hit against the spin, reminiscent of his role model Mohammed Azharuddin. Laxman is particularly noted for the skilful use of his supple wrists, which allow him to flick the ball to various places, but usually through the leg side. This also helps in his catching, and he typically fields in the slips or in a bat pad position. Laxman is noted most for his batting against Australia, in both Tests and One Day Internationals. Six out of his 17 Test hundreds, and four out of his six ODI hundreds have come against Australia. He has two double-centuries in Tests, both of them against Australia: his personal best of 281 at Kolkata in 2000–01, and 200 not out at Feroz Shah Kotla in 2008–09, and in 2002 he was named one of five Cricketers of the Year. In 2012, Laxman retired from international cricket. Laxman was born into a Telugu Brahmin family in Hyderabad in undivided Andhra Pradesh. Laxmans parents are, noted Physicians Dr. Shantaram and Dr. Satyabhama of Vijayawda-Guntur. Laxman studied at Little Flower High School, Hyderabad. He then enrolled as a medical student but chose cricket as a career over medicine. He was awarded an honorary doctorate degree on 4 February 2015 by Teri University, New Delhi. He married G. R. Shailaja from Guntur, who is a post-graduate in computer applications on 16 February 2004. They have two children – a son, Sarvajit and a daughter, Achinthya. Laxman is known for his "wristy, willowy and sinuous" style, one which is technically fluid at its best. Laxmans on-side playing capability is comparable with his fellow Hyderabadi Mohammed Azharuddins. The Australians once admitted that they did not know where to bowl to him. Laxman is widely criticised as a slow runner between the wickets and he is one of the few players who have played 100 Tests but have never played in the Cricket World Cup. 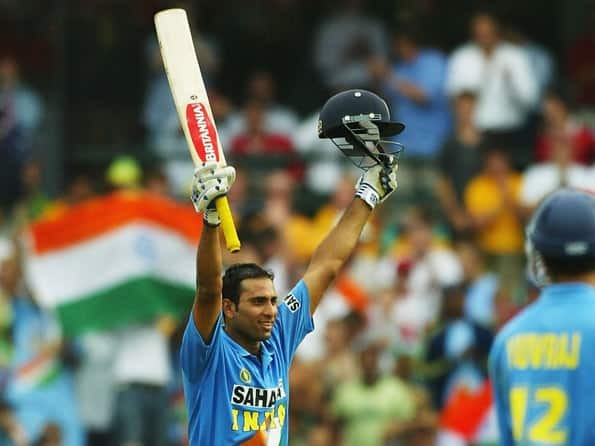 Despite being a slow runner between wickets, Laxman could score rapidly as he was such a fine stroke player and could play freely for long periods of time. Technically sound, Laxman stands tall and still at the crease, with a keen awareness of the off-stump and a polished ability to dispatch the bad ball. He plays with a high elbow and a steady stance and a textbook technique with natural elegance and flair. At the start of his career, Laxman was rated by Geoffrey Boycott as one of Indias best current players of the hard (new) ball. Indian selectors also thought on those lines and asked Laxman to open on a number of occasions. But Laxman came into his own only when he was asked to bat in the middle order. 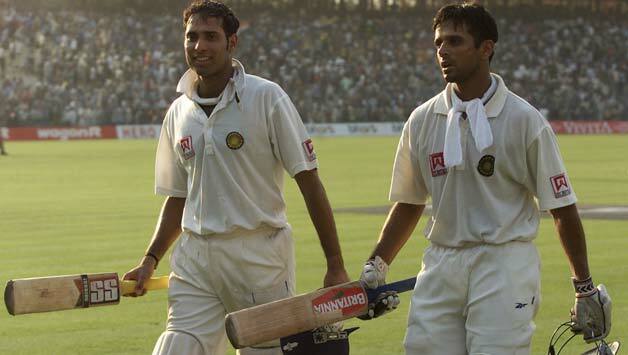 Laxman has played some of his best match-winning innings while playing at no. 3, no. 5 and no. 6. His score of 281 against Australia rang in a new era of Indian dominance which culminated in India gaining the no. 1 spot in test cricket a few years later. His 281 is rated by many as the best ever innings played by an Indian bat. He made that score while batting at number 3. Laxman made his Under-19 debut for India against Australia in February 1994. Batting at six, he made 88 in his debut innings against a bowling attack that consisted of Brett Lee and Jason Gillespie, both of them were making their debuts too. In the second game of the series, Laxman scored an unbeaten 151 in the first innings and 77 in the second innings to help his team register a 226-run victory. He continued his good form as he scored 36 and 84 in the third game to end up as the leading run-scorer of the series. The Test series was followed by a 3-match ODI series, where he managed scores of 24, 22 and 77. Later in August that year, the India Under-19 team toured England for 2 ODIs and 3 Test matches. Laxman disappointed in the ODIs with scores of 20 and 5. However, in the first Test he struck 119 in the first innings, but did not get to bat in the second innings as India cruised to a 9-wicket win. He made only 28 in the second match and 4 in the third. Laxman made his first-class debut for Hyderabad against Punjab in the quarter-final match of 1992–93 Ranji Trophy season. He scored a duck in the first innings and 17 in the second. He played only one match for Hyderabad in the next season, before getting dropped. However, he was named in the South Zone squad for the 1994/95 Duleep Trophy in the back of his impressive outings for India Under-19s, but he failed to score big in the tournament. In the following Ranji Trophy season, Laxman notched up 532 runs from five matches at an average of 76 scoring two centuries. In the semi-final of the Duleep Trophy of 1995/96 season against West Zone, Laxman scored 47 in the first innings and a spectacular 121 in the second innings, sharing a 199-run partnership with skipper Rahul Dravid. He had another brilliant Ranji season the next year, as he piled 775 runs in just 11 innings at an average of 86 with 3 centuries and a best of 203* that came against Karnataka in the semi-final, which Hyderabad eventually lost. He was picked to play for Rest of India against Karnataka in Irani Cup and also in the Board Presidents XI squad against the touring Australian team. He played only three matches in 1996/97 Ranji season, where he scored three half-centuries, before getting picked for the Indian Test team against South Africa. During Indias Tour to England, Laxman score just two half-centuries in eight innings as India went down 0–4 to England. This was Indias first Test series loss since the 2007/08 India Tour of Australia. Laxman got out with the pull shot frequently in this series, which otherwise he is good at. As part of West Indies tour to India in September 2011, Laxman scored a magnificent 176 not out in the second test, but India had to settle for a draw. Laxman was adjudged Man of the match. India went on to win the series 1–0. Laxman again failed to live to his expectations during Indias tour of Australia in November 2011, as India went down 0–4 to Australia with Laxman scoring only two half centuries in eight innings. For the first time in four tours to Australia, Laxman failed to register a century in the series; and also for the first time in four test matches played at Sydney Cricket Ground he failed to touch the three figure mark. Post this series, there were calls from the media and former Cricketers that it was time for the seniors like Laxman, Dravid and Sachin to take a call on their international career. Laxman was originally named as the Icon Player for his home franchise Deccan Chargers before the first season of IPL. But he gave up the Icon Player status in a bid to allow his team spend a bigger purse at the auction. The Deccan Chargers bought him at the auction for $375,000 and named him the captain for the first season. However, Laxman dropped himself from the team halfway through the season, after the team had a horrendous in the tournament. Adam Gilchrist took over as the captain and led the side in the next two seasons as well. Although, Laxman did scored 155 runs from the 6 games that he played at an average of 31 and strike rate of 118. He batted at 3 in the first few games before opening the innings with Gilchrist in some matches where he found more success. His only half-century of the tournament (52 off 44) came against Royal Challengers Bangalore. He did score a couple more of fluent innings that season including the unbeaten 37 from 26 balls against the Mumbai Indians and 48 from 34 balls against Kings XI Punjab. However, he struggled with the bat in the next two seasons and sat out of the tournament after playing only 5–6 matches. On 18 August 2012, Laxman announced his retirement from international cricket. Although he was selected for the upcoming New Zealand series, he opted not to play in the series but he will play in domestic cricket for Hyderabad and the Indian Premier League . It was announced that the Northern Stand at the Rajiv Gandhi International Cricket Stadium will now be named after him.